Update Sept 2017: Over 50 pounds gone. Michelle has gone from 224 pounds to a comfortable weight of 175 pounds. 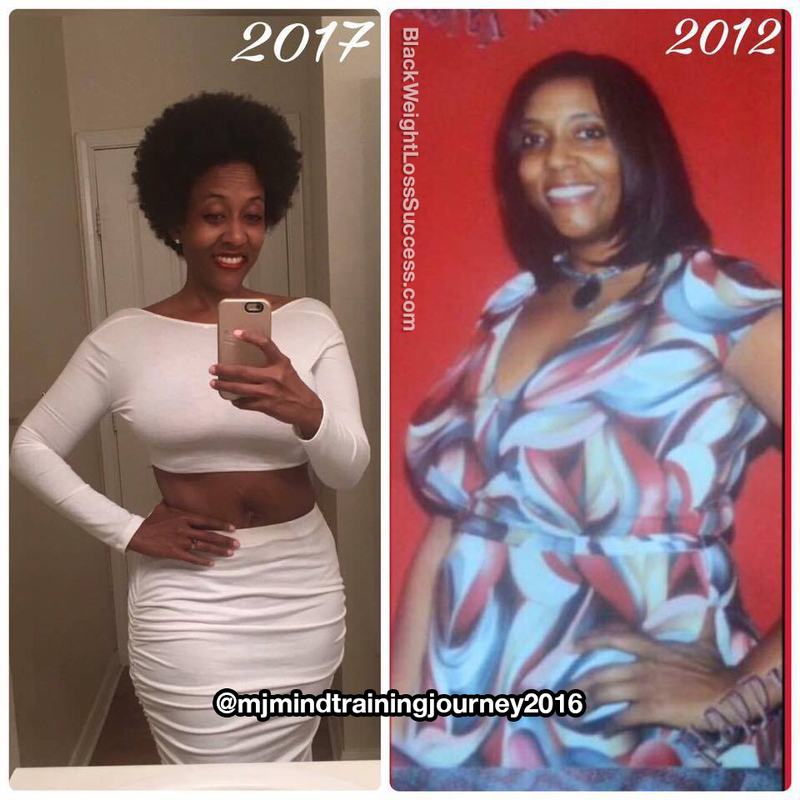 We shared her story a year ago and now she is sharing with us how she’s continued to get results. Hello, I was featured a while ago and I’ve managed to maintain my weight loss thus far. My journey started back in January 2016 at 224 pounds. I reached my goal weight back in April 2017. At that time, I was down 64 lbs (160 pounds). This after photo was taken this month. I’ve gained 11 pounds since April to get to my most comfortable weight of 175 pounds. I’ve maintained by sticking with my “new and improved” eating habits at least 5 days per week. On the remaining 2 days, I eat all of my favorite foods but in moderation. I wasn’t exercising consistently up until August 2017. Now, I exercise at least 3-5 times per week and I’m mainly focused on toning. At this point, would you offer any new or different advice to people who want to lose weight? I would advise them to always remember why they started on the journey in the first place and to never give up. Transformation of the Day: Michelle lost 41 pounds this year. The results of her Dec 2015 health assessment motivated this mom to become more disciplined and healthy. She saw how focusing on nutrition alone can produce awesome results. Check out her journey. Hello, my name is Michelle. I weighed 224 pounds in Jan 2016 (5’8″ in height). I’ve lost 41 lbs since, down to 183 pounds. I fully committed to becoming optimally healthy. I decided to become the most disciplined person I know. I did a refrigerator and cabinet overhaul and refilled both with a host of fruits, vegetables and lean meats. I started making my own smoothies and drank them as meal replacements for breakfast and lunch. I cut out all junk food eating entirely. I started drinking mostly water and tea (no alcohol, no soda pop). I haven’t followed any programs or diets other than what I’ve learned to do on my own. No surgery either. 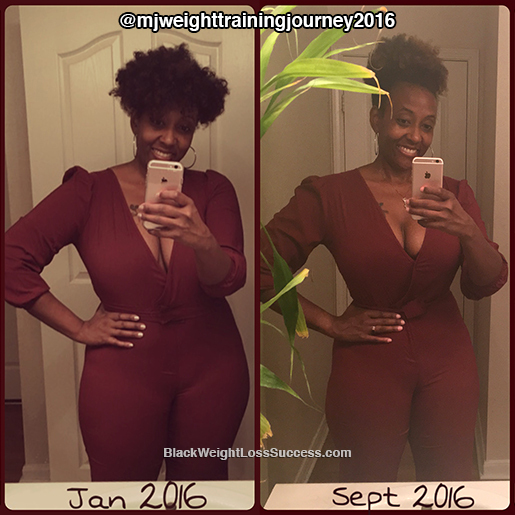 From Jan to June 2016, I focused solely on my nutrition. I managed to lose 24 pounds without working out. In July 2016, I started walking on a treadmill for 30-60 minutes, 3 days per week. In August 2016, I increased my treadmill walks to 7 days per week. At the beginning of this month, I added light weight training at home 3 days per week to my routine. Unfavorable results from my Dec 2015 health assessment motivated me to get started. Also, I wanted my children to witness me practicing good eating and workout habits on a consistent basis. Keeping my beginning status and my end goal in mind (Goal: losing 50 lbs by Dec 2016) serves me well during times when I want to throw in the towel. My advice to anyone wanting to lose weight is to never give up! Minimum daily changes truly do add up to maximum results. Trust the process and yourself enough to know that you can and will achieve your goals. Best wishes to everyone!